Liverpool's Egyptian winger is joined on the final three shortlist with Cristiano Ronaldo and Luka Modric for Best Fifa's Men's Player award for 2018. Liverpool's Mohamed Salah has been announced as a finalist for the Best Fifa Men's Player award for 2018. The Egyptian international beat five-time Ballon d'Or winner Lionel Messi to make the final three as the Barcelona captain missed out on the shortlist for the first time since 2006. There was also no place in the final three for any of France's World Cup-winning squad as Cristiano Ronaldo and Luka Modric were also nominated. This year's awards are separate to the Ballon d'Or after the world's football governing body ended its association with that honour in 2016. 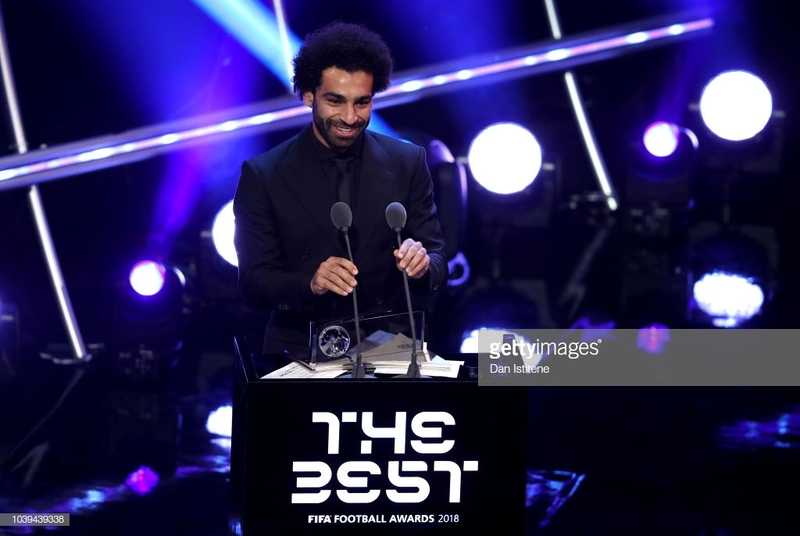 Salah will be against the odds to claim his first ever Best Fifa Men's Player award with the Reds forward being the bookie's underdog to win the prestigious award. Juventus' club record signing Ronaldo is the current holder of the individual prize and will be looking to make it three successive titles following his victories in 2017 and 2016. The Portugal national team captain won a fifth Champions League title with Real Madrid before joining Serie A champions Juventus for £99.2 million. Real Madrid midfielder Modric will also be hoping to claim his first Ballon' d'Or following the Galactico maestro's outstanding season for both club and country. Modric helped ‎Los Blancos claim their 13th European title as well as making it three Champions League crowns in a row when they defeated Salah's Liverpool 3-1 in the final. The Croatian international also helped his beloved national team reach their first ever World Cup final in Russia and his efforts helped him secure the tournament's player of the competition. However, despite the odds, Salah deserves to be in the running following his mesmerizing debut season that saw him fire 44 goals for the Reds to help the club secure a second successive top-four finish in the Premier League as well as their first Champions League final in 11 years. The 26-year-old also represented his country at the World Cup, recovering from his heartbreaking Champions League final injury to make it to Russia scoring twice as the Pharaohs were eliminated after the group stage. The winner of the honour, to be announced at a ceremony in London on Monday, September 24, with the victor being decided by a panel of fans, national team coaches and captains, and journalists. Salah has also been nominated for the 2018 Puskas award following his stunning strike against Merseyside rivals Everton last season. The Reds No.11 made a dream derby debut as his sensational solo effort saw him bamboozle several Toffees defenders with his intricate dribbling before curling a left-footed strike into the top corner on a snowy Anfield affair. His first ever derby goal was nominated as part of a 10 goal shortlist that will see the winner decided by an online poll of fans at FIFA.com and announced at the same ceremony in London on September 24.